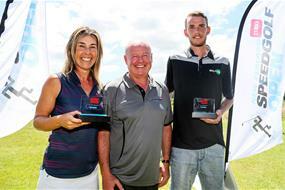 Current Parkland Product NZ SpeedGolf Champion, Jamie Reid has finished in second place at the 2018 World SpeedGolf Championship a mere one second this weekend. Having had the fastest running time by a handsome margin, a tough front nine of 43 hurt Reid who played nicely on the back nine to secure second place. Eventual champion, Mikko Rantanen completed the run in 55:28 minutes with an impressive round of 71 (total of 126:28), while the Kiwi was lightning fast to run 18 holes in 47:29 minutes and signed for a round of 79 to have a agonising total of 126:29.